For anyone who wants to learn the fundamentals of branding in an approachable way without poring over dense text or hiring an expensive consultant, Star Brands presents a unique model that offers structured guidance and professional tips for building, managing, and marketing any brand. 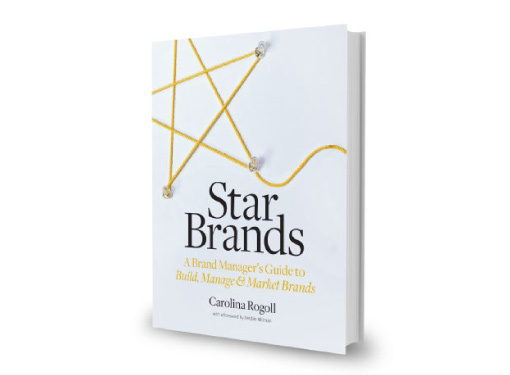 Created by savvy brand manager Carolina Rogoll, the star brand model is a perfect intersection of solid marketing and management theory with an approachable, visually oriented design. "In her position as both a brand manager at the world’s largest consumer goods company and as an educator in the world’s first graduate program in branding, Rogoll is uniquely qualified to reveal the wizardry behind the curtain and, in doing so, she bestows upon her reader the very tools necessary to grasp this elusive but ultimately attainable creative business process." Carolina Rogoll has been building some of the world’s most beloved brands for over ten years, as well as serving on the faculty of the first ever Masters in Branding program where she created the inaugural (and very popular) brand management seminar. She has a strong track record in brand building, business management and coaching.